The other days I’ve just started my Soundcloud account – the purpose being to upload some audio books, interviews and … mixes. 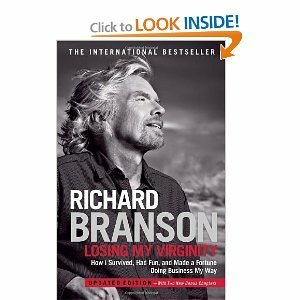 The first uploads were some recordings I have from a friend in UK containing pieces of Losing My Virginity read by Richard Branson. I find Mr. Branson the most inspiring entrepreneur ever and I usually read his books, follow the news about him. Maybe this means that I am a fan. Yes, why not? Everybody has obstacles and Richard points out that the difference between the success and failure is made of how you approach them and the kind of actions you take to overcome them.